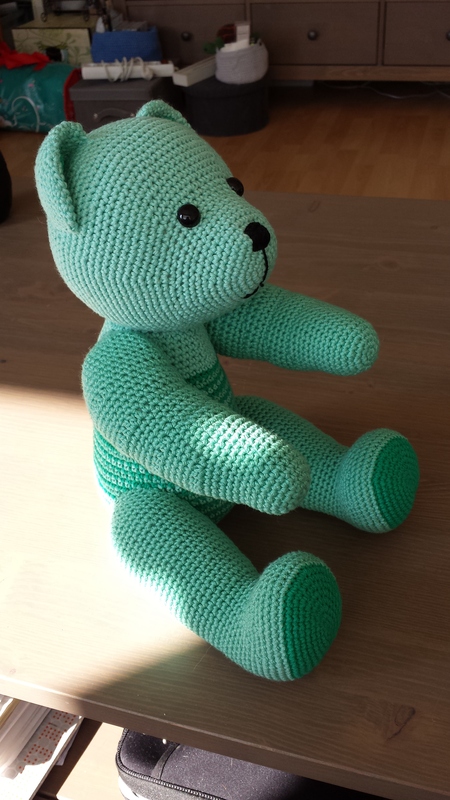 A cousin of mine asked if I could make a big teddy bear for his youngest son. It took a while to find the right pattern, but after a lot of searching online, I suddenly realised I had the perfect pattern all along. 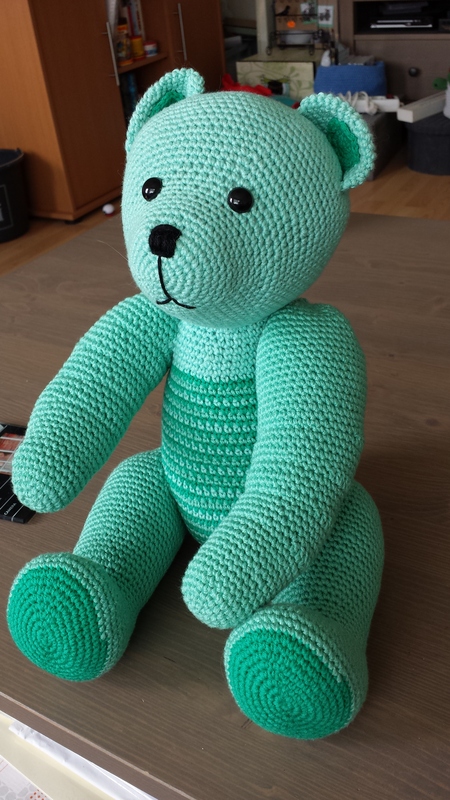 So I dove into my pattern folders and dug up a polar teddy pattern from a Dutch crafts magazine. 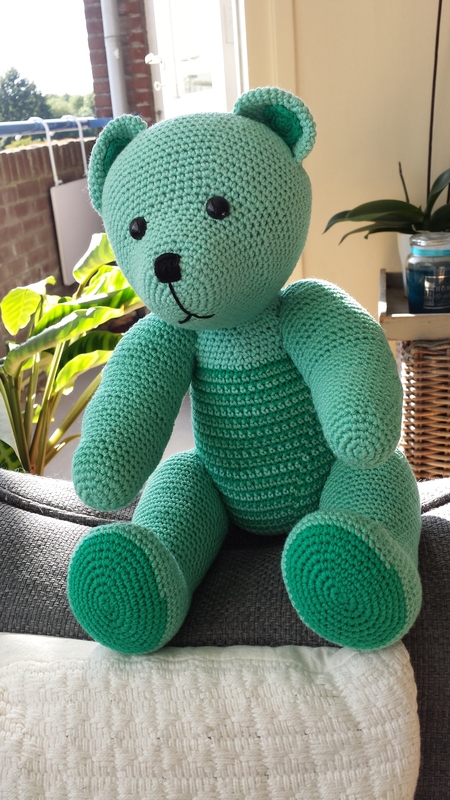 The pattern is made by Christel Krukkert, one of my favourite Dutch crochet designers. The pattern ended up needing a lot more yarn than I anticipated, so after making the head and an arm, I needed to look for more. Sadly though, the yarn I had used, didn’t have a band on it and since I got it from a friend, I didn’t know which brand it was. So I had to find a matching yarn in the right colour and thickness, which turned out to be much more of a challenge than I could’ve imagined. Eventually, I found a colour that came close enough and thanks to a tip from the shop lady, I realised it was probably the best idea to frog the arm I had already made, so that the difference wouldn’t be too noticeable. How do you handle mistakes in patterns? Do you make your own adjustments, ask the creator, or give up on the pattern all together? I almost choose option three, I was pretty much done with the bear at that point ^_^’ but in the end, I’m glad I didn’t! ← Second Fresh Stitches Kit club! Sadly, it’s not my own pattern. I have tried to see if it’s for sale anywhere, but haven’t been able to find it. It’s probably in one of Tessa van Riet’s books (also known as Woollytoons) so maybe you can try finding it that way. So sorry, I meant Christel Krukkert of course >_<"